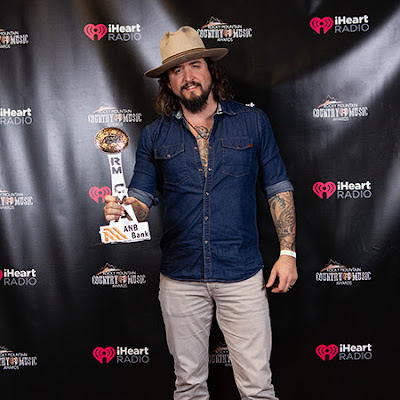 Scooter Brown was awarded Male Vocalist of the Year at the 3rd Annual Rocky Mountain Country Music Awards presented by iHeartRadio on January 13 at the Union Colony Civic Center in Greeley, Colo. The awards celebrate the best in country music from 2018 in the Rocky Mountain region (including Colorado, Wyoming, Nebraska, Kansas, South Dakota, Utah and New Mexico). Scooter Brown Band’s “American Son” featuring Charlie Daniels was also nominated for Song of the Year. The award comes following his appearance on USA Network’s Real Country and the band’s release of their acclaimed album American Son. “I am truly honored to have been nominated for both awards and blown away at winning the ‘Male Vocalist Of The Year’ award. I'm looking forward to spending a lot more time in the Rocky Mountain region to help expand an already great and growing music scene there,” said Scooter Brown. Scooter Brown was nominated alongside Chancey Williams, Ned LeDoux, Logan Mize, Sean Curtis, Lucas Maddy and Tris Munsick. “American Son” was nominated alongside songs by Chancey Williams and the Younger Brothers Band, D.J. Bridwell Band, Tyler Walker Band, Austin Wahlert, Ian Munsick and Ned LeDoux. In November, Brown was featured on USA Network’s “Real Country” where he competed on Travis Tritt’s team and came in second on his episode. Scooter Brown Band is already headed back out on tour in 2019 with a midwest run already in the books. You can keep up with all of the band’s tour dates at scooterbrownband.com.